This beautiful species was discovered as late as 1946. Frank Kingdon Ward found it growing in the far North East of India in the Siroi Kashung Hills at an altitude of approximately 2500 metres. He sent back both seed and bulbs to England where his material was grown on and eventually named for his second wife, Jean Macklin. Initially the plant was thought to be a species of Nomocharis but it was eventually assigned to the genus Lilium. Lilium mackliniae is also known as the Siroi Lily and in the intervening years since its discovery it has attained celebrity status in its homeland. It is now the official State Flower of Manipur and can even be found on postage stamps. Its presence in the Siroi Hills has also catapulted that part of the world into the tourist industry. It is still to be found there, now growing in open scrubland and surrounded by barbed wire as its sole means of protection. For a number of years it was presumed that the distribution of this Lily was very restricted and that all of the plants currently in cultivation had been derived from the original introductions of Kingdon Ward. 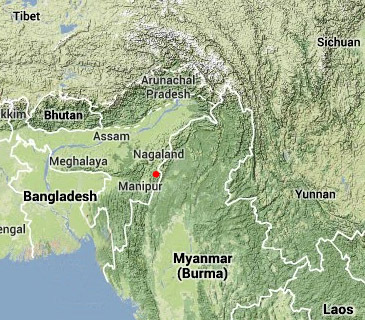 However, quite recently, a number of differing forms of the species have been discovered on one side or the other of the Nagaland/Myanmar border. These include introductions by Dayal and Thomson (LOO3), and also Susan Milliken (NAPE 049). None of these introductions are considered distinctive enough to merit sub-specific status. 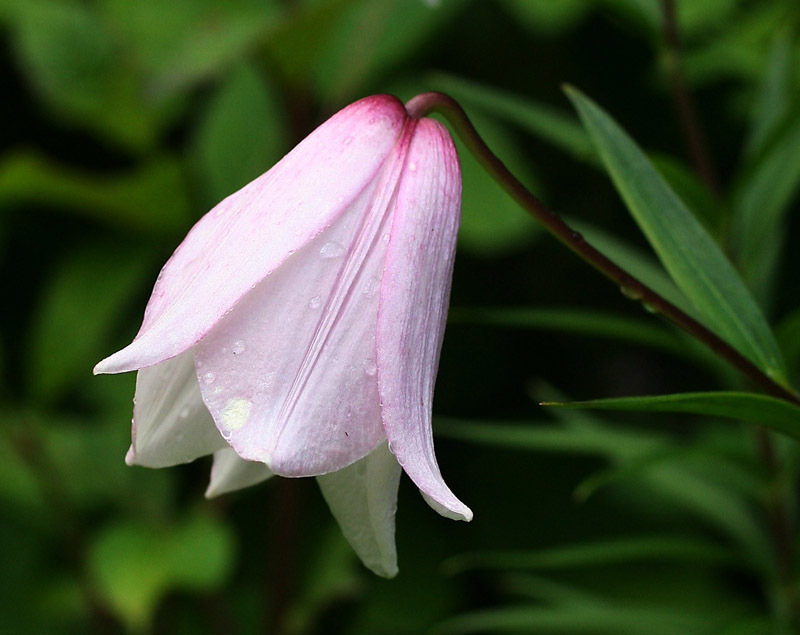 In cultivation this Lily happily grows in damp semi-shade and flowers in late Spring or early Summer. It can produce up to eight flowers per stem but both length of stem and number of flowers per stem can vary considerably. Lilium mackliniae produces copious amounts of seed which germinates readily and may flower within four years. In fact, growing the plant from seed rather than obtaining bulbs is considered to be the preferred option by many growers given that, allegedly, the species is susceptible to virus, although I have not encountered this problem to date.